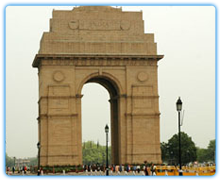 Arrive Delhi the capital of kingdoms and empires is now a sprawling metropolis with a fascinating blend of the past and the present. It is a perfect introduction to the composite culture of an ancient land. A window to the kaleidoscope - that is India. Meet assist at the airport & transfer to hotel . Night stay in Delhi. After a hearty breakfast, a leisurely day discovering the Capital City, then later mosey-on down to the Old City where the bazaars and markets will enthral you. In the evening after dinner, and over coffee or tea you will be debriefed on your Himalayan adventure and the remaining balance will be collected. Night stay in Delhi. 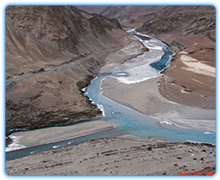 Catch an early morning flight to Leh from Delhi domestic airport. Reaching Leh before lunch. After booking into your hotel, you will have time to relax and spend time acclimatizing. Overnight stay in Hotel. Second day in Leh, you will spend the day relaxing and acclimatizing. You will have the opportunity to visit the local market and Monasteries during the day. After breakfast, a gentle ride to Khardong-La Pass Overnight stay in Hotel. Early morning depart for Lamayuru to visit the monastery, after visiting drive to Leh enroute visiting a Sikh Gurudwara known as Pith/Patthar Sahib just 25 kms short of Leh town after visiting continue drive to Leh. Upon arrival in the evening check into hotel for overnight. Keylong is the exit from Ladakh, but our stay here will give you the opportunity to dwell on track left behind and how the ladnscpae changes from the moon-like Ladakh. Overnight stay in Camp. Leaving Keylong, you enter an altogether world that which is green, Himachal Pradesh. 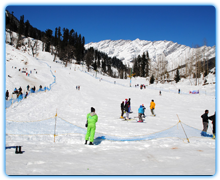 A lush mountainous region of North India and Manali. A well earned two day rest in your luxury hotel here will not only rejuvenate your body, but relax the mind also. Overnight stay in Hotel. Today is your day to wander through this mountain retreat. Catch the old temples, walk along the Mall Road and then have a stint in Old Manali, visiting some divine tea shops. We’ll point you in the right direction, and the rest is up to you. Shopping is optional of course. Overnight stay in Hotel. 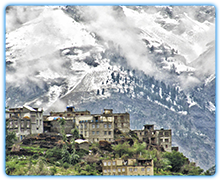 We leave Manai and head up the Kullu Valley, riding along the Beas river, on your left-hand side. Aganin the view are breath-taking. Tea stops along the way are possible. Arriving in Shoja late afternoon. Overnight stay in Camp. Making an early start, we head up and over Jalori Pass, and onwards towards Shimla, arriving in good time to catch late tea, giving you time to meander, before dinner, through some of the old Victorian walkways. In funny sort of way, British influence is still seen to be the standard others want to follow. Overnight stay in Hotel.